Editor’s Note: Lately we’ve been trying to offer some objective assistance on your 2014 footwear choices. Those are our choices, but are they indicative of pro baseball at large? 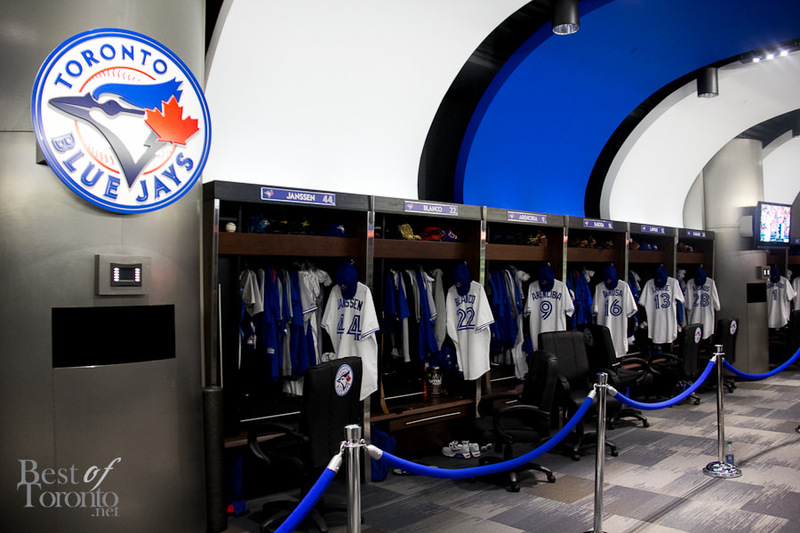 In this article, Daniel Klein is taking you into the Blue Jays Spring Training headquarters in Dunedin, FL to see the top cleats that are being worn by his teammates and the thinking behind their choices. If you’ve been reading WPW lately, its no secret that Nike, the undisputed king of footwear, has some serious competitors on the diamond in 2014. New Balance is by far the Jays’ Spring Training favorite, quickly spreading virally through pro ball (thanks in part to Jose Bautista who was one of the first NB converts). The reason is simple. Many have called New Balance “the most comfortable cleat I’ve ever worn.” Nike takes the unfamiliar rank of #2, and Under Armour has established a significant presence as well. A big reason why New Balance and Under Armour cleats are finding their way into young players’ hearts is that they are much more generous than Nike when it comes to sponsorships (free cleats). Nike has been dominating every level of baseball for so long that freebies are reserved for the game’s elite, but it seems that NB is quickly catching up to them with their products. Below is an exclusive look at the cleats my teammates are wearing, some exclusives, but many that are just one click away. Here we’ve got a pair of 2014 Nike Huarache Pro Championship Edition with a sweet iridescent plate on the bottom of the cleats. This is an exclusive version that is very tough to find because of limited quantities. The standard version is available in most places. These are worn by an outfielder who was looking for more support while stealing some bags. He is also looking into New Balance 4040v2 Mids and giving them a try. This is another pair from a speedy outfielder. These 2013 Under Armour Yard Mid ST cleats are mid/high tops, but definitely not as high as the Spines that are offered by UA. Many outfielders are going for the high tops instead of the low tops. Cleats have gotten so light over the years that players might not need to sacrifice the extra support for a lighter cleat. Now for an exclusive: these are custom Nike MVP Elite 3/4 in white and blue. A very slick cleat that looks great with both pants up and pants down. This pitcher was wearing these cleats for practice and wears some black Huaraches in games. The New Balance 4040v2 is definitely the cleat to have for 2014. Tons of guys are trying them out and have nothing bad to say about ‘em. Personally, I switched to New Balance last year and couldn’t be happier. I’ll be going with the Mids this year for a bit more support. The Nike Air Huarache Pro Lows look to be the top cleat for Nike in 2014. It’s a very handsome cleat and a great follow-up to the incredibly popular Huarache 2K4 Low. They look and feel great, and are versatile enough for any position on the field. A lefty pitcher uses these (see the pitcher’s toe). Molded cleats are a must for players working day in and day out during spring training. They are extremely versatile, in between metals and turfs, and lessen the day-to-day pounding on a player’s joints. 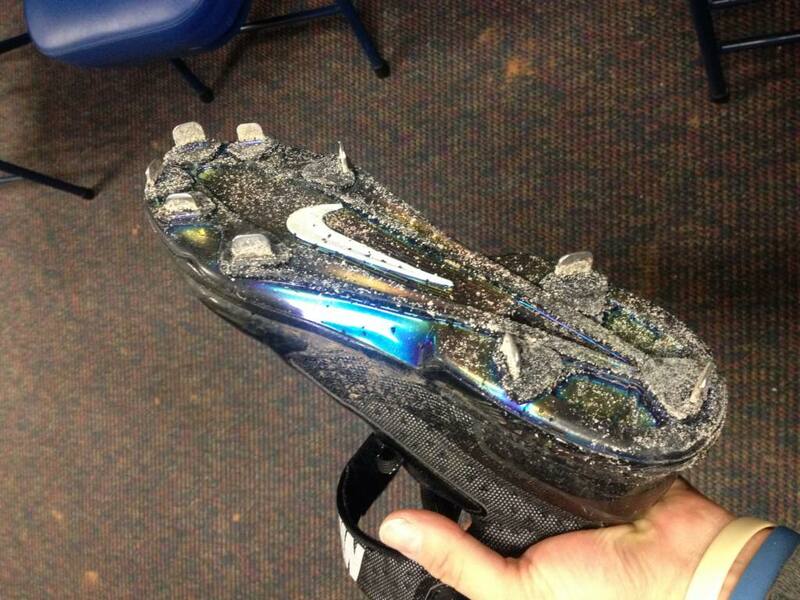 Above are a few molded cleats that some guys have been wearing. The New Balance 2000 (thanks to Pat for the correction) is an older model from New Balance, but still very popular throughout pro ball. Under Armour’s Spine MCS (not available) Heater and Nike Huarache Pro Mid models are also pictured. This is Under Armour’s new Yard Mid ST for 2014 (the “Yard Mid ST” is last year’s model), a new look with a very similar composition. We hope this brief look at the popular cleat choices in a pro clubhouse gives you an idea what your choice might be for 2014, especially since most of these are available to you. Let us know, what’s on your feet this season? Love the article and inside looks at the pros cleats. My only concern is telling the readers that mid-top/hi-top cleats/sneakers have more support, which is the widely held belief. The truth is hi/mid-tops only provide a feeling of support and actually just restrict movement (making you slower and less agile if anything) and often enhance heel lockdown. The fit and torsional support of the shoe actually provide the support for your foot. If you want to support your ankle you just need to have strong ankles or a brace. Simple as that.